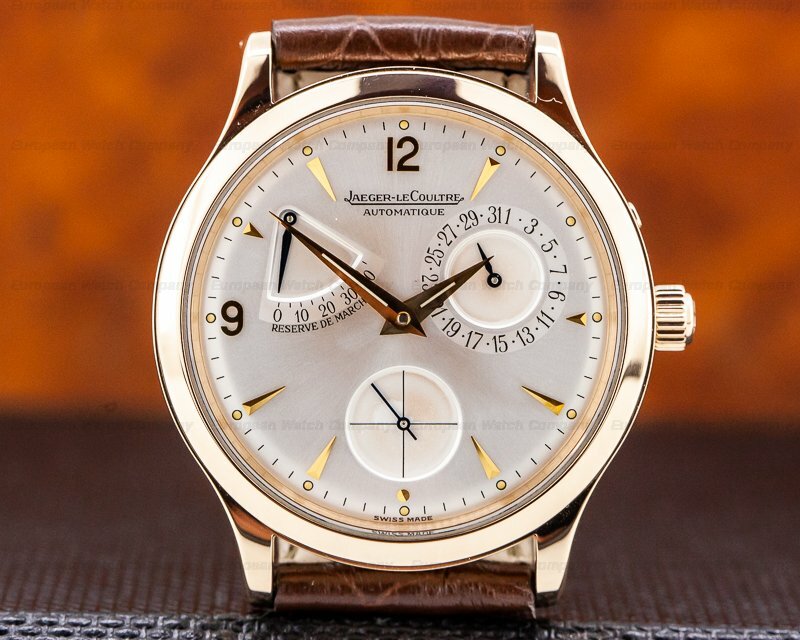 This is an 18k rose gold Jaeger LeCoultre Master Reserve de Marche 1482401. 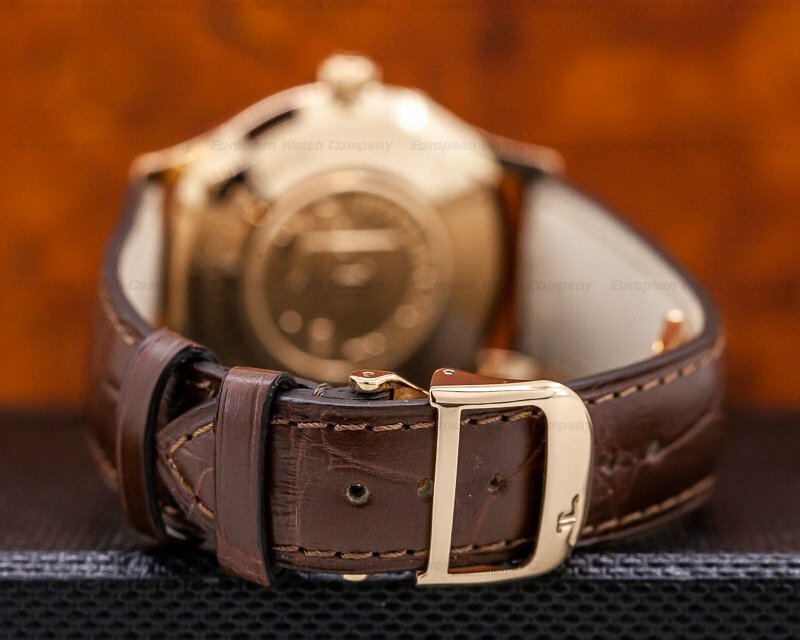 It has an alligator leather strap with a rose gold folding deployment buckle, and a scratch resistant coated sapphire crystal. 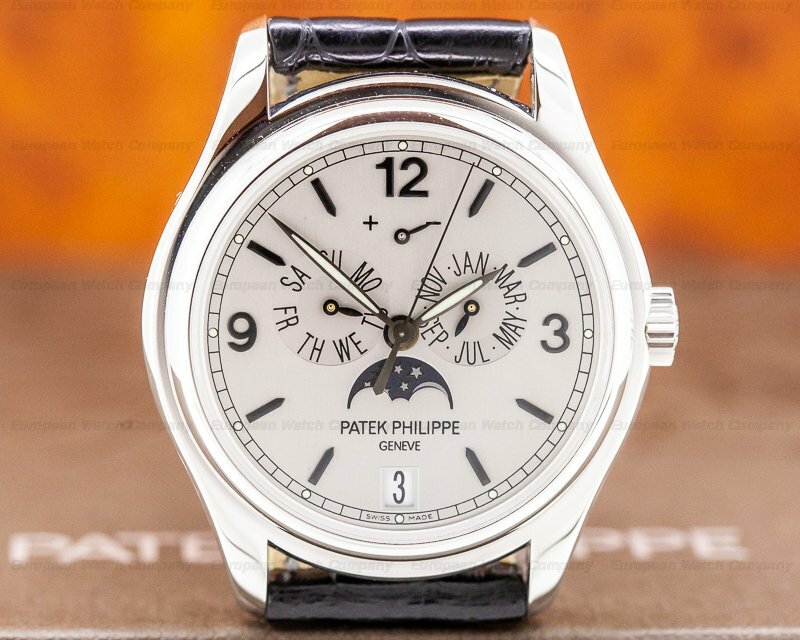 It includes a screw down winding crown, and a corrector is on the right-side case band at 2 o'clock for adjusting the date. 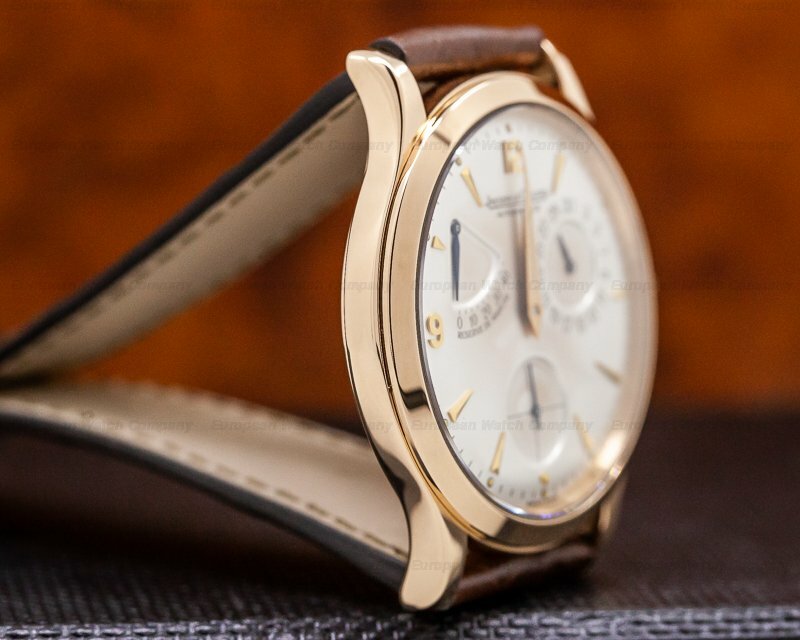 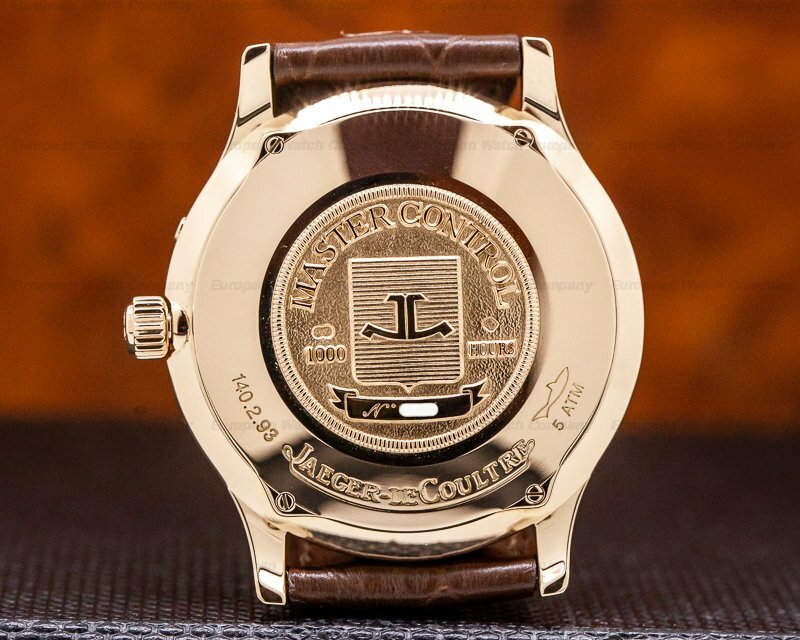 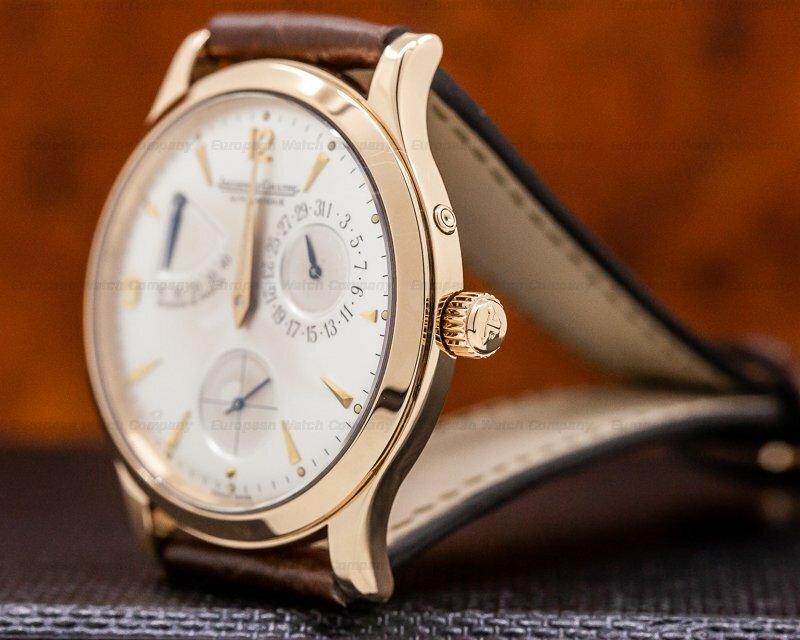 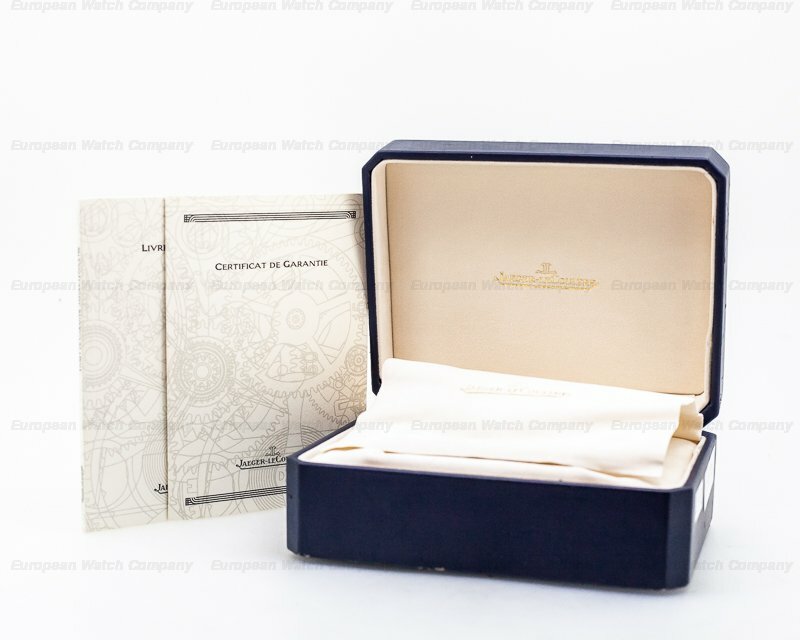 There is solid case back secured with 4 screws, and engraved with "JAEGER LECOULTRE – 140.2.93 – 5 ATM," and it has a center 1000-hour Master Control medallion with the JL logo. 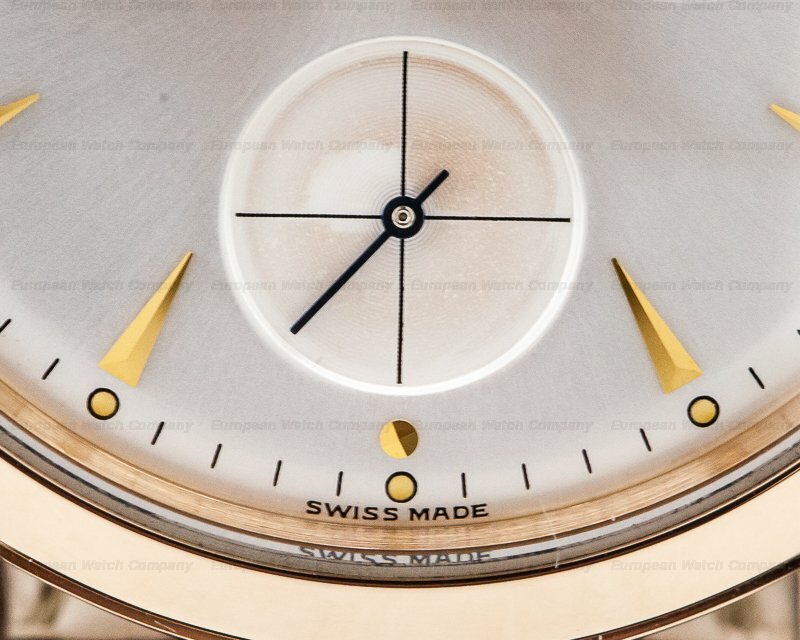 The 39mm diameter solid three-body case, angled bezel, and curved lugs are polished. 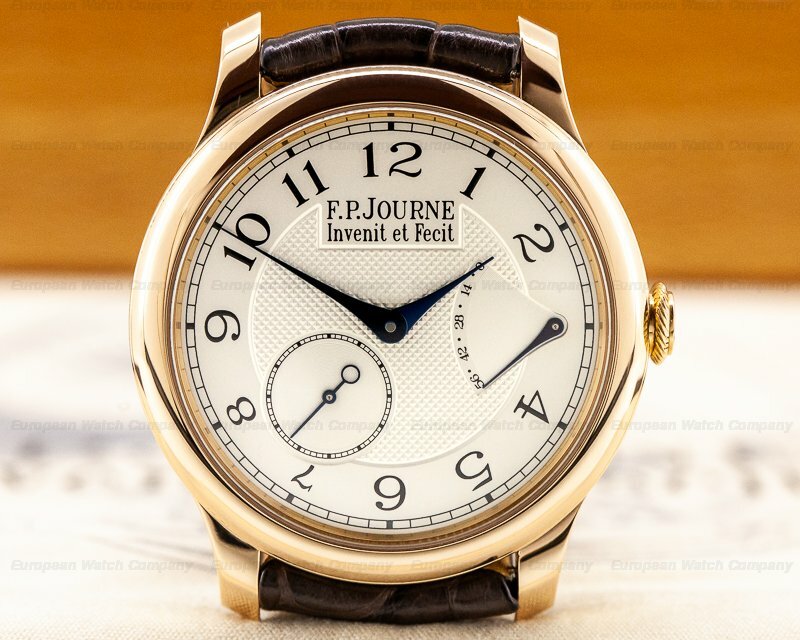 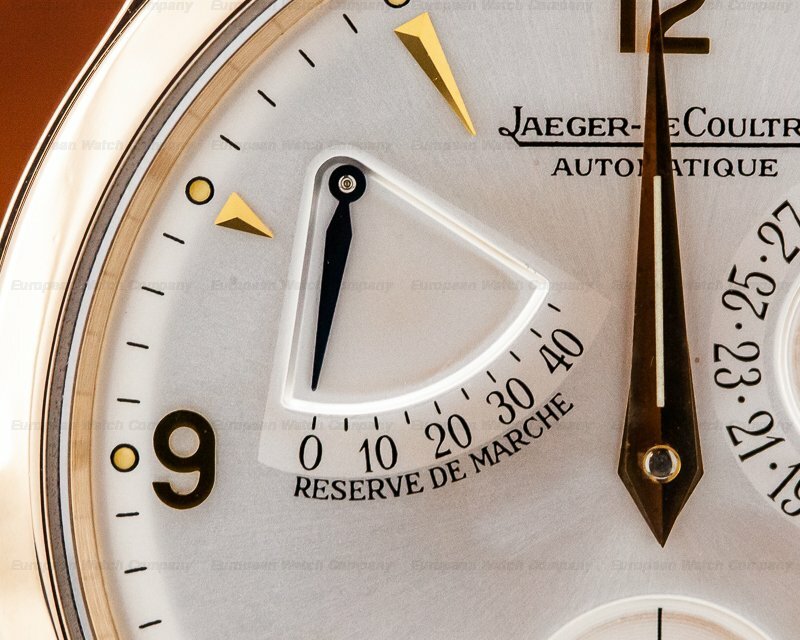 The dial is silver with applied faceted rose gold dart indices and luminous dot hour markers, with applied gold Arabic numerals at 9 and 12 o'clock. 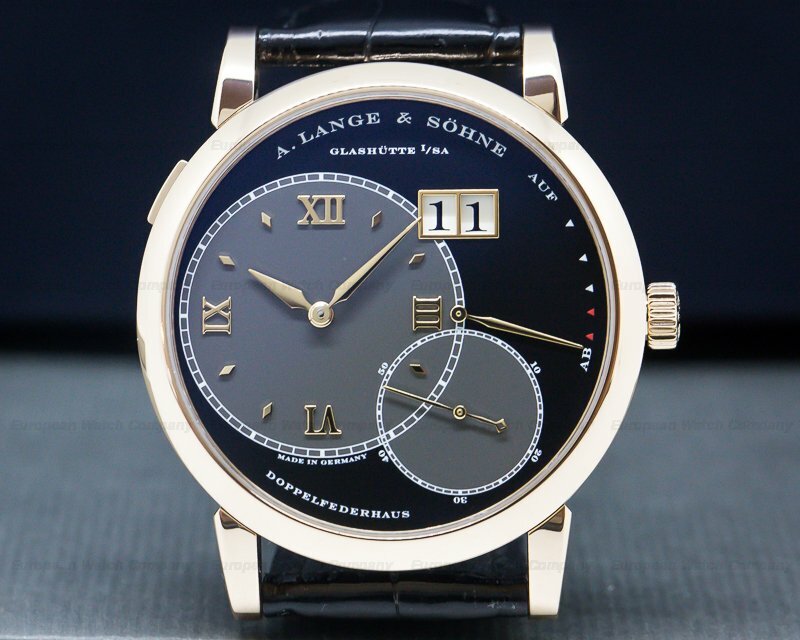 It has gold luminous Dauphine hands and a perimeter black minute track. 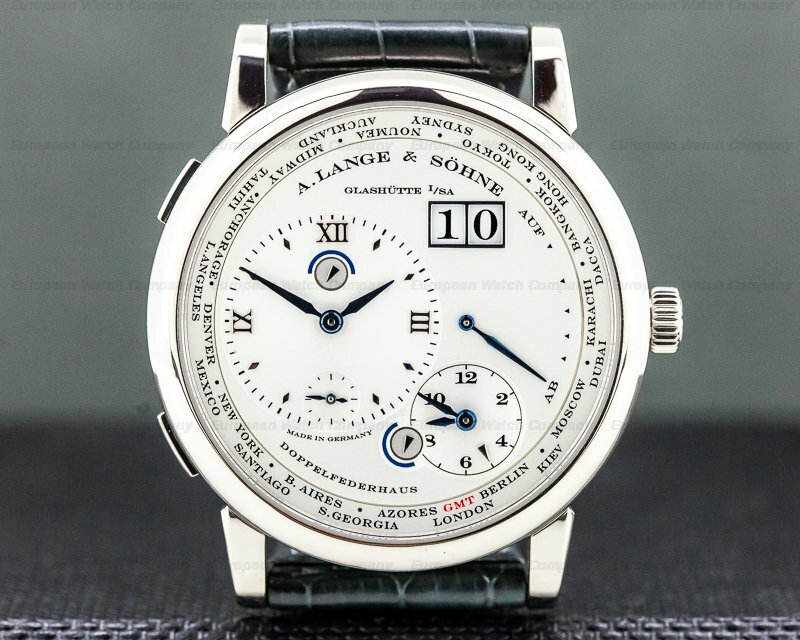 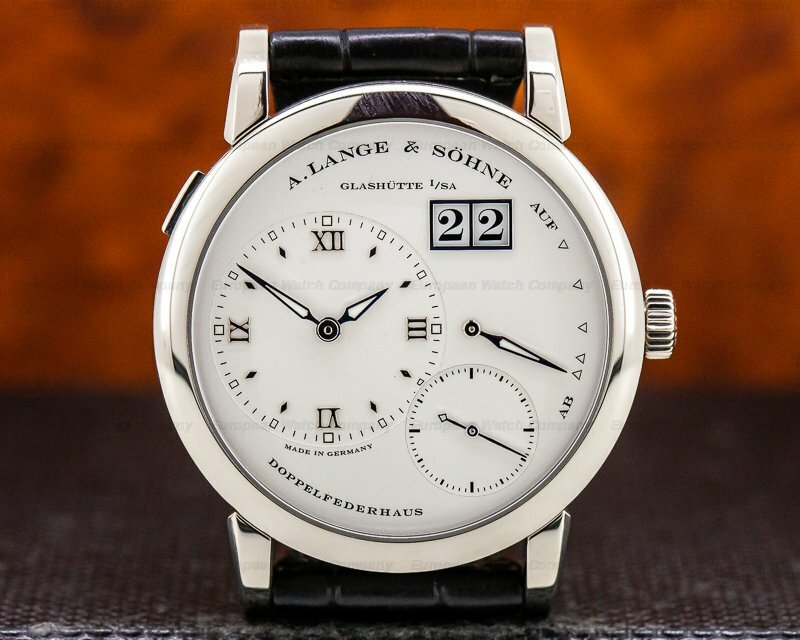 There are three recessed subsidiary dials with black markers, blued indicator hands, and Arabic numerals, including a fan-shaped 43-hour reserve de marche power reserve indicator at 10 o'clock, a recessed subsidiary radial date dial is at 2 o'clock, and there is a running small seconds dial at the 6 o'clock position. 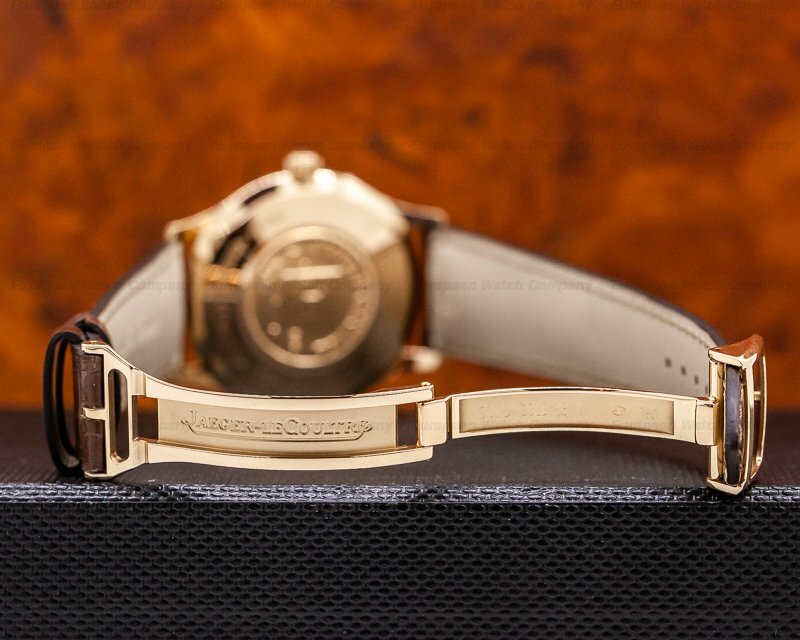 It's water resistant to 30 meters/100 feet, and the 10mm thick case, dial, and movement are all signed. 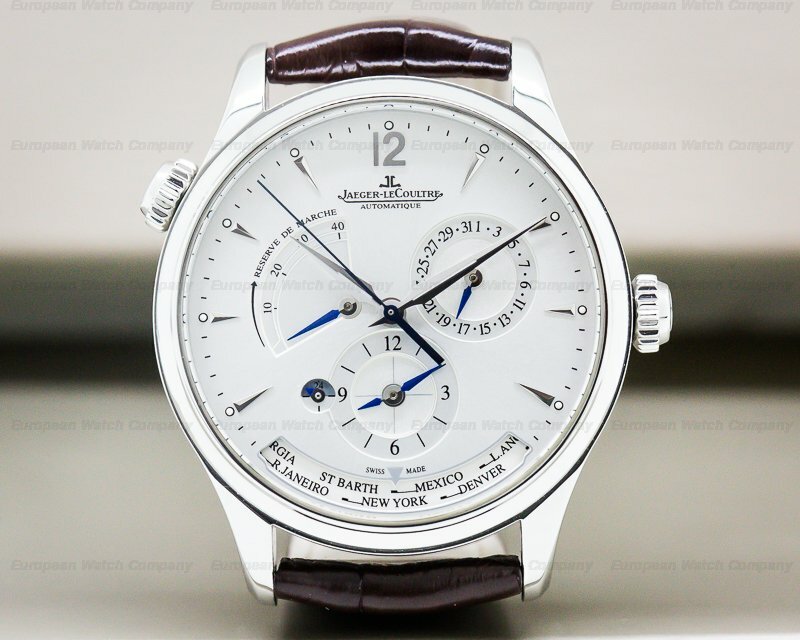 This Jaeger LeCoultre Master Reserve de Marche 1482401 has a mechanical automatic self-winding JLC in-house caliber 928/2 movement that's rhodium-plated, with fausses cotes embellishment. 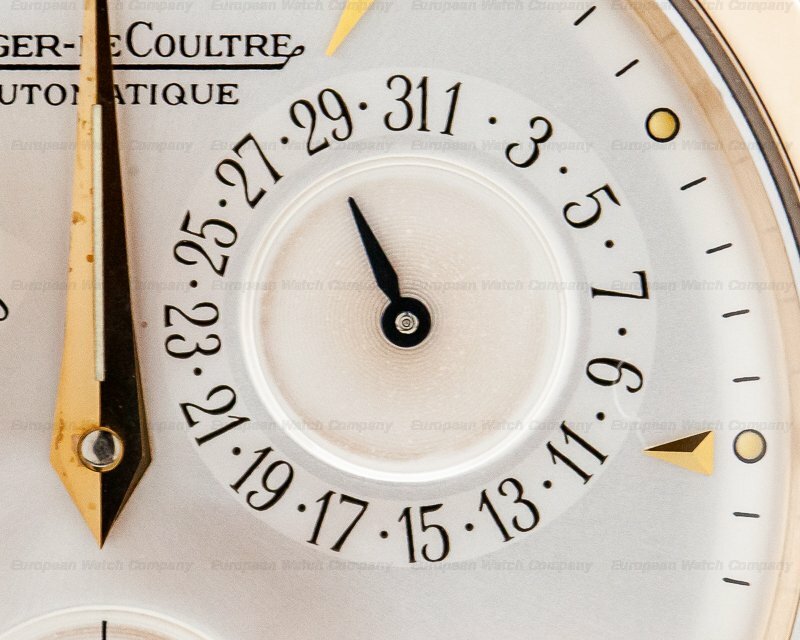 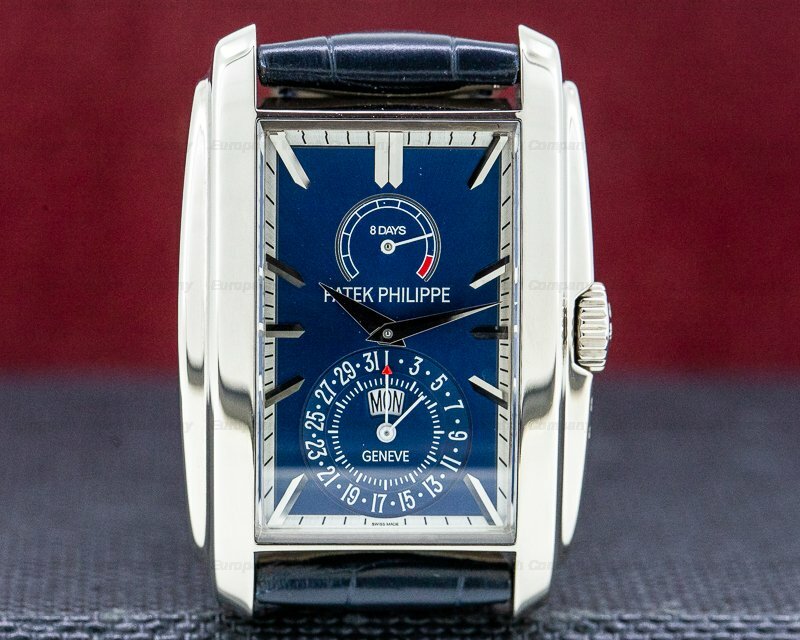 It's constructed with 45 jewels, a shock absorber mechanism, and a straight-line lever escapement. 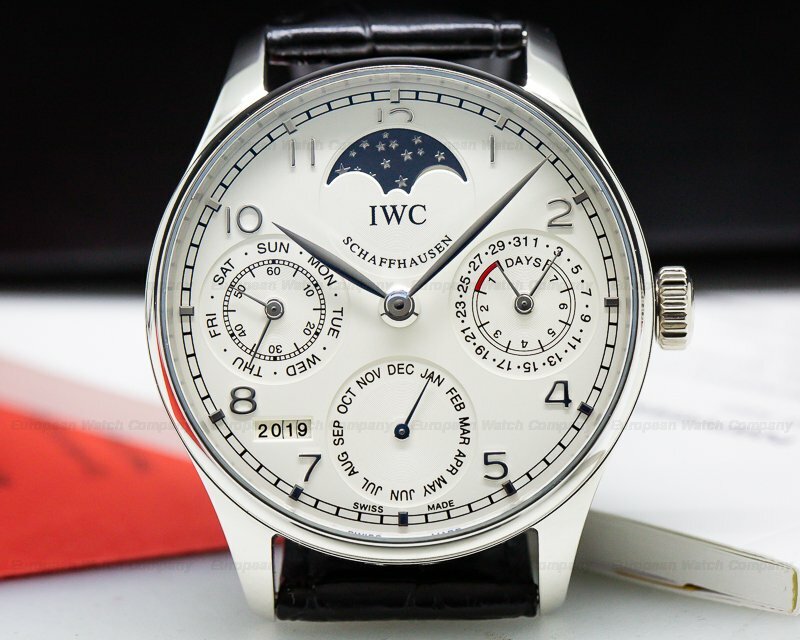 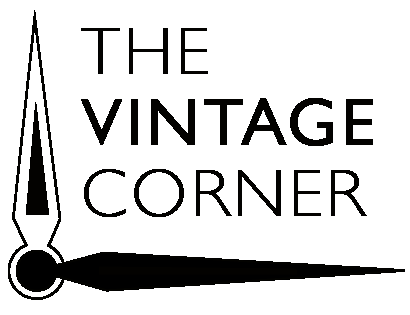 It includes a monometallic balance that's adjusted to 6 positions, blued screws, a self-compensating flat balance spring, and a micrometer regulator. 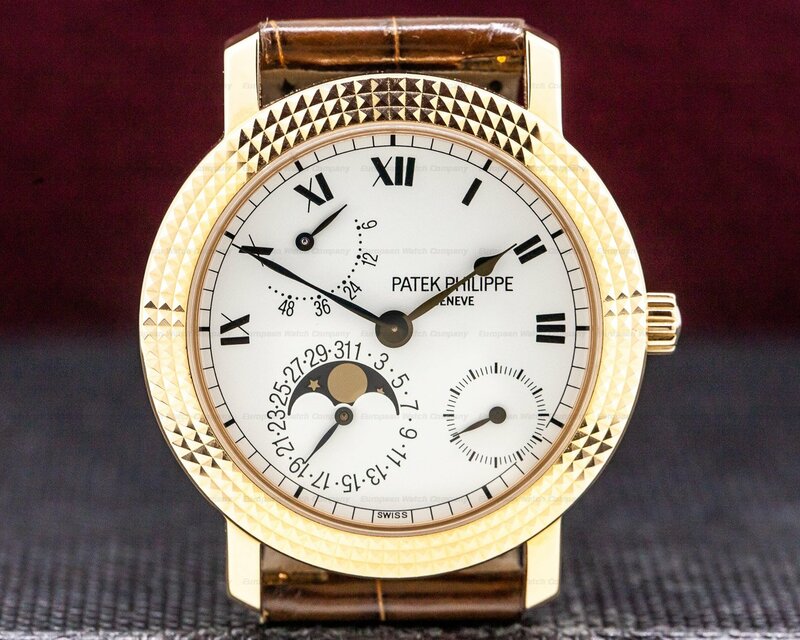 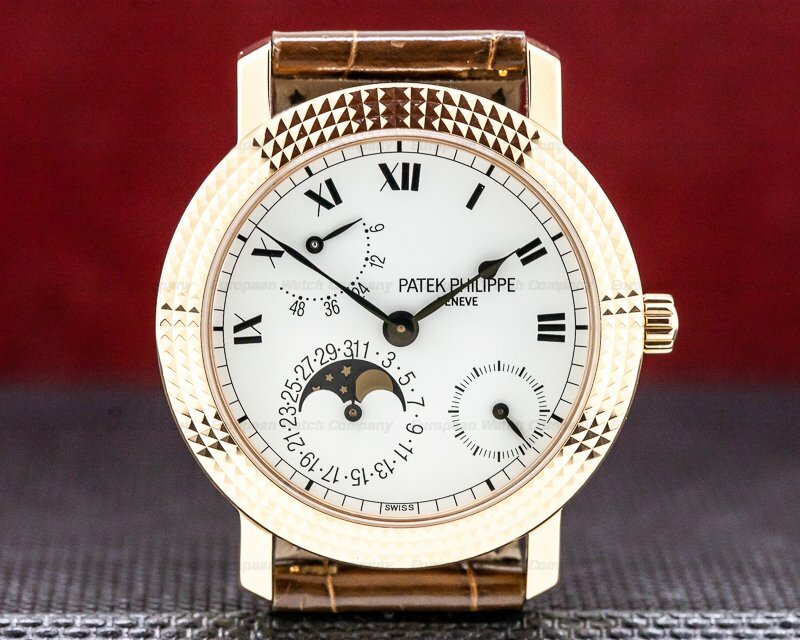 It has a 22K gold sector rotor and oscillating weight, and the mechanism beats at a frequency of 28,800 vph (4 Hz). 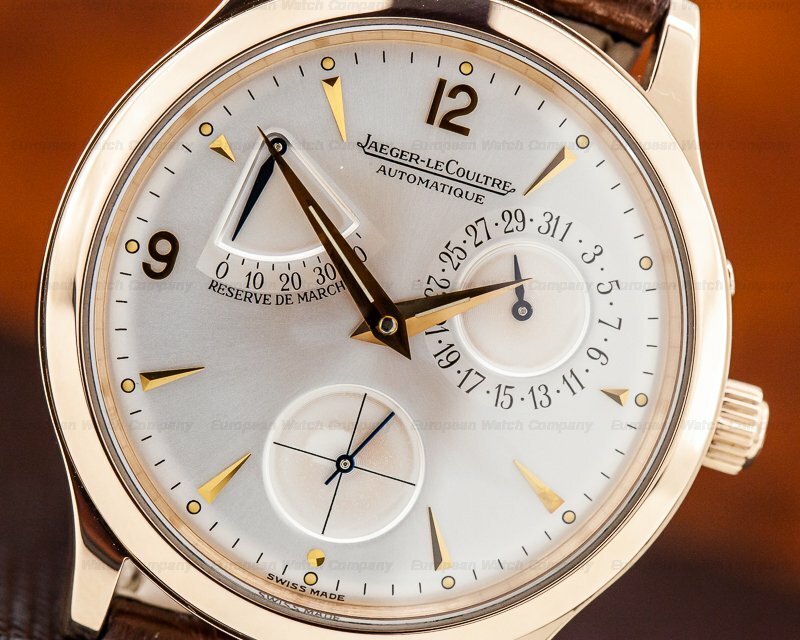 The Jaeger LeCoultre Master Reserve de Marche 1482401 was introduced in 1991, and it has the "Master Control 1000 Hour" stamping on the rotor.